We usually drove until almost dark, then stopped at a roadside motel for the night. The next day, we piled in the car and traveled some more. As a child, this type of trip felt like endless days of entrapment with little reward for the journey. Back in that day, there were no navigation systems, only paper maps that, when spread out, extended the whole width of the car. 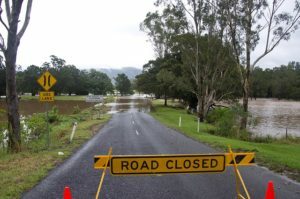 Often, the maps weren’t up to date so we’d go miles only to discover a “road closed” sign. When this happened, the only option was to turn around and retrace our route until we came to a service station where we could ask for directions. 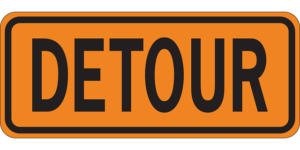 Other times, a “detour” sign sent us on a circuitous route that made our destination even further away than anticipated. Sometimes life feels like the road trips of childhood, a series of stops, starts, delays, detours, reroutes, and roadblocks. With each navigation challenge, comes frustration and fatigue. You may be at a place in your life’s journey where you feel you’re trapped by roadblocks or that detours have sent you in a direction you never intended to go. Most of us approach a vacation with anticipation. We look forward to seeing or experiencing something long awaited and usually mentally create a perfect scenario. But often we encounter the unexpected—car trouble, delayed flights, lost luggage, a mix-up with reservations, rain, high winds, or a weather warning that calls for evacuation. Vacation snafus are a mini version of life. When something happens that challenges our expectations, we have the choice to complain and proclaim disaster, or accept the reroute and make the most of it. Look for something positive about the experience, even if it feels like the worst thing that has ever happened at the time. While interstate highways get us to our destination more quickly, the drive is often monotonous and boring. Miles of billboard-dotted roadways and dodging manic drivers is hardly cause for excitement. A detour usually takes you on backroads, past vegetable stands, farmhouses, and fields, through quaint towns with unique shops and stunning architecture. Sometimes we’re so focused on getting where we’re going we don’t take time to notice sights along the way or stop to view something of interest. Life is the same. We have opportunities to meet interesting people, build relationships, engage in endeavors that help us grow, learn something new, and find moments of relaxation, if we’re willing to embrace our detours. I go to the gym near my house very early each morning. When it’s warm, I often walk, but in the winter, I usually drive. My route takes me through a small subdivision of patio homes. As I traveled that road one morning, while it was still dark, I suddenly came upon a makeshift roadblock and barely was able to stop before hitting it. The area was still under construction and some of the residents decided to cut down on thru traffic by making their own roadblock. However, they failed to include any sort of reflective material and several unsuspecting motorists slammed into the barricade before someone reported it to the county and it was dismantled. Roadblocks are annoying. 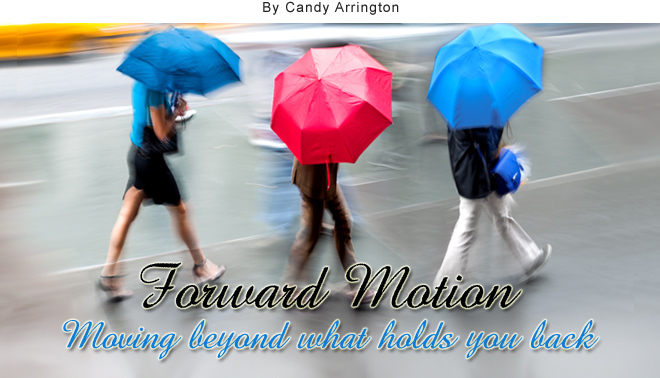 They bring forward motion to a halt, make us rethink our direction, and formulate a different plan. We often move so fast in life we hardly have time to rest and reflect. We make plans and put them in motion, often with no thought to how they impact others. Our plans and God’s rarely align. Perhaps that roadblock that so annoys you is God’s way of slowing you down and pointing you in different direction, one that is better for you. Roadblocks serve a purpose. Often they protect from something dangerous ahead that isn’t visible from your current location. Accept them without trying to go around them and seek wisdom as you reroute your journey. 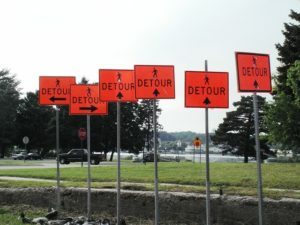 We don’t always have the benefit of signs that include the word “ahead” after “roadblock” or “detour.” Usually, we slam into the things that bring us to a halt and send us in another direction without warning. But the good news is we eventually reach the end of the journey. It may not be the destination you mapped out when you started, but if you’ve accepted God’s roadblocks and detours it’s the destination He planned for you. How do you respond to roadblocks and detours?